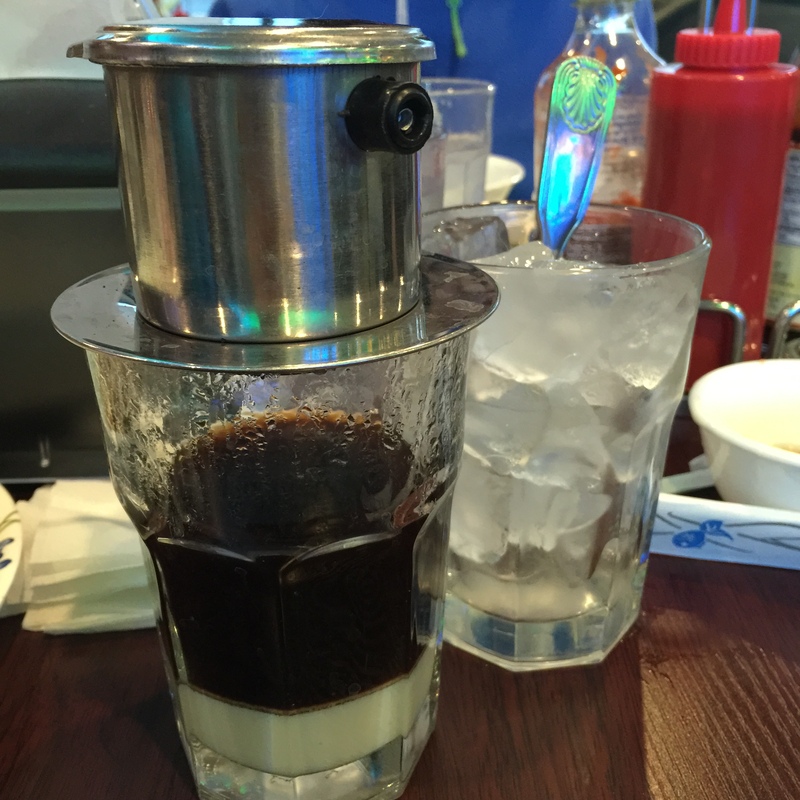 Is it French Coffee or Vietnamese Coffee? I can never remember. All I know is that I likey. Dripped at your seat, over condensed milk, poured over ice!